Jesiz will make his 2018 EU LCS debut as a player. Three hours before their match against H2K, EU LCS team Misfits have promoted their strategic coach Jesse “Jesiz” Le to the starting support position. Jesiz’s addition to the starting lineup comes as a result of lackluster performances and slow improvement over the past couple of weeks, Misfits head coach Hussain Moosvi explained in a Twitter post. With Jesiz moving to the starting lineup, Misfits are hoping to “add stability within the team,” Moosvi said. Currently at the top of the EU LCS standings, Misfits have seen a decline in performance following their first loss of the Summer Split three weeks ago. Since their first loss Misfits have gone 1-3 in their last four matches, going 0-2 last week against Giants Gaming and FC Schalke 04. Before joining Misfits in May as part of their coaching staff, Jesiz played support for Fnatic. As part of Fnatic’s starting lineup, Jesiz attended the World Championship. Following Fnatic’s World Championship top eight finish though, Jesiz was benched. During his time on Fnatic’s substitute roster, Jesiz went on loan to Origen, where he supported legendary AD carry Konstantinos-Napoleon “FORG1VEN” Tzortziou at the European Masters tournament. 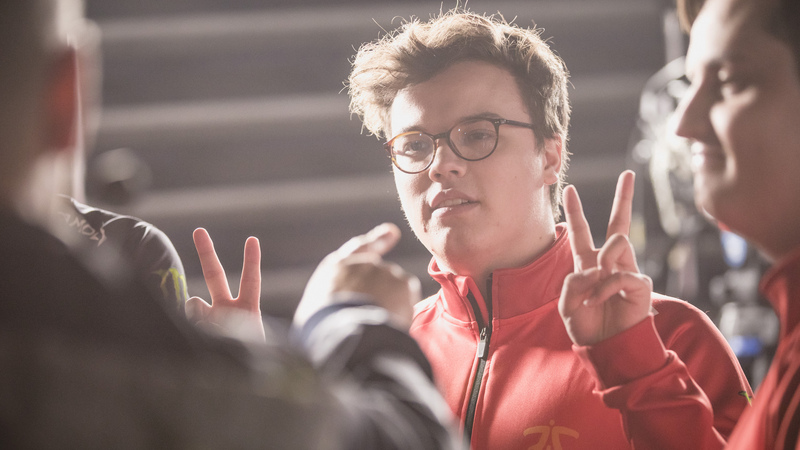 Shortly after returning from Origen, Jesiz left Fnatic to join Misfits just prior to the start of the Summer Split. It is currently unknown if this roster move by Misfits is permanent, or if support Mihael “Mikyx” Mehle will regain his spot back on the team’s starting roster next week. Mikyx has yet to comment on his benching. Jesiz will make his debut as Misfits’ support later today, when the team faces off against H2K at 12pm CT.